Begin your comprehensive reverse cell phone lookup now. Our cell phone directory has access to billions of records, making it easy for you to find the important contact information that you need. 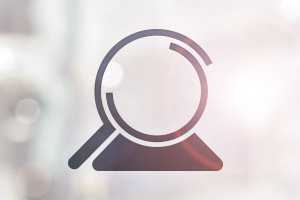 When you perform a search using our directory, our powerful tool scans these billions of records and in moments will have your results ready for you. We’ve made connecting with people easier than ever! You can either search by name, by phone number, or by address to find the information that you need. All you have to do is enter the information you wish to search in the appropriate search bar and hit “search”. In less than a minute, you will have your results. We made it easy for you to select what type of information that you need! We have several options for you to choose from including a standard report, premium report, or background check report. Once you choose your report type, you will be able to see your results. Our comprehensive reports go far beyond simple information such as a name or phone number. Your report can include important information such as cell phone numbers, full names, social media profiles, criminal history, current address, age, and much more depending on what type of report you choose. A reverse phone number lookup is when a person has a phone number and needs to find more information on that number such as the owner's name. It is different then a name search or address search in that the search parameter is a phone number instead of a name or address. This is why it is called a "reverse" phone lookup. Our reverse phone lookup is very easy to use. Simply enter the phone number in the search box above and we will display the information that we have on the phone number in your search report. You just got a mysterious phone call and you're asking yourself who called me. National Cellular Directory’s reverse phone lookup tool will help you find the owner of a cell phone number. Our detailed report will provide information about them such as owner name, age, address, phone information, and related people. Do you need to find out who is calling you? National Cellular Directory can help solve this mystery through our reverse phone lookup tool. Our How-To blog section was designed to help customers such as yourself understand and use people search data in their everyday life. Now that you’ve unmasked who is behind a phone number, it might be time to do a little more digging. If you want to learn more about your unmasked caller, your next step is to run a background check on them. All you need to run a background check on someone is their full name as well as state and city. Once you have that information (which you can gather by performing a whitepages reverse phone lookup) simply perform a search by name lookup on our website and select the background search option. Our database will then scan its billions of records and pull up all the information that is available (such as criminal records). Our reverse phone lookup is a great way to find out personal information about the owner of a specific phone number. There are many good reasons to perform a reverse phone lookup. When You Get Calls From An Unknown Phone Number - You have an unknown number calling or texting you and you don’t want to take the risk of answering it. You Know The Number, But Forgot The Person Behind It - You gave you number to a stranger at the bar, and now they are calling you but you forgot who they were. Or perhaps you find a number scribbled on the back of a business card in your purse/wallet. You Don’t Want To Get Scammed Or Hurt When Purchasing Something From A Stranger - You want to buy something from someone on a shopping site and they give you their phone number to text or call when you meetup. Doing a quick reverse phone lookup can give you their basic information. Your Child Is Texting/Calling An Unfamiliar Phone Number - Your child is texting and/or calling someone but you have no clue who they are. To protect them, you want to find out who this person is. To Update Contact Information - You want to update a loved ones contact information. Perhaps they got a new phone number or moved and you can’t find a way to reach them. Your Online Date Seems Fishy - You meet someone on the internet that gives you their phone number, but you don’t know their full name yet, or you think they are lying. A background check is a great way to dig even deeper and find out important information on a person such as their criminal and social media history. Background checks also include other basic information such as cell phone numbers and address history. When You Are On A Job Hunt - You are looking for a new job or career and begin applying for jobs that catch your eye. Before you know it, a business wants to hire you but it’s their policy to perform a background check. Performing a background check on yourself will allow you to see exactly what everyone else is seeing when looking up your information. If You Think Your Identity Is Being Compromised - Performing a background check is a great way to find out if your identity is being compromised. If you see anything on your background check that doesn’t seem right, you can report and fix those errors. When You Performed A Reverse Phone Lookup But Want To Learn More - You unmasked the name and basic information about the owner of a cell phone number. However, you want to learn more about them such as their criminal history and social media information. When You Are Dating Someone - It’s important to protect yourself when you are meeting new people romantically. Knowing basic information about your date such as their criminal history is a good way to protect yourself when getting to know someone. When You Want To Protect Your Child - It’s a good idea to protect your child by looking up someone’s background that takes care of them on a day-to-day basis. Their teacher or school bus driver is a good example. There are so many other circumstances which yield it necessary to run a background check for safety purposes. Performing a background check on a specific individual will give you the peace of mind to make the right choices in your professional and personal life. I used National Cellular Directory's Reverse Cell Lookup and was able to verify the owner information. Thank you so much!